Onepoll is another survey site that I now use regularly, you can find the full list of apps/sites I use here. 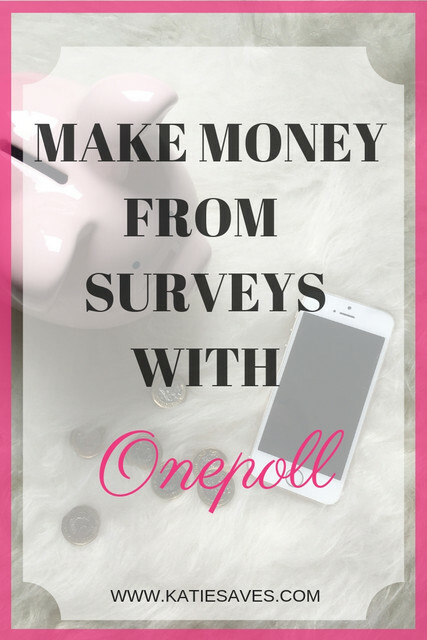 I’ve used Onepoll sporadically for years and managed to cash out twice in that time, had I been using it as consistently as I am now, I would’ve made a lot more money out of it. It doesn’t usually rank very highly in survey users opinions, but despite that it’s probably one of my favourites to use. I personally use the desktop version of Onepoll, though there is an iPhone app – but I found it to be a bit glitchy and less surveys seemed to appear on it than on the desktop version. When you sign up you’ll get £2.50 in your account. The payment threshold is now £30. However, if you have an old account you might still have to reach the old threshold of £40 before you can cash out. You can get paid via BACS or Paypal – I personally use bacs. If you use paypal, check the email address for payment is correct if it is different to the email you used to sign up. Payment can take up to 28 days. Onepoll have a refer a friend scheme whereby you can refer up to 15 friends and earn a little extra money. However, your friend needs to sign up and stick with it – so far I have referred 6 people and only received the initial sign up 50p reward – no one has made it to £20, let alone £40! When you log in, you’ll be shown a list of available surveys and the monetary reward available. Sometimes there are a couple of prescreening questions which will tell you whether the survey’s suitable for you or not. Most of the questions are multiple choice, although there are some free text answers to. There is a progress bar above the questions, so you can gauge how long is left. – Surveys are regular, sometimes multiple surveys in a day so it’s worth checking back often. – Surveys sometimes have a few pre-screening questions – so you won’t get screened out half way through a survey. – You can see your survey progress as you go, which I particularly like as you can see how long is left. – The pay for each survey is consistent usually between 10-20p, though occasionally you will find higher paying ones. – The payout threshold is high which is why the majority of people just can’t be bothered. It is definitely a slow burner. – The handling time is pretty poor considering many other sites now often instant payments or a much quicker turnaround for payments. So would I recommend it? Definitely, it’s more reliable and less frustrating than other survey sites and I prefer the format of the surveys. It takes a while to get to cashout, but £30 in your account is going to be more rewarding than the odd £1 here and there from the likes of Curious Cat. 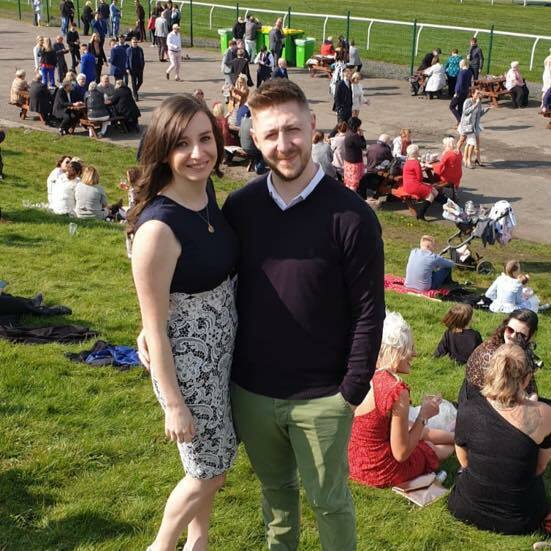 The biggest downside to Onepoll is the payout threshold being so high, which is off putting for many people and I find a lot of people I talk to used it for a little while, then got bored and gave up – I can understand why but I do believe there are positive aspects to it which you should stick at it for.